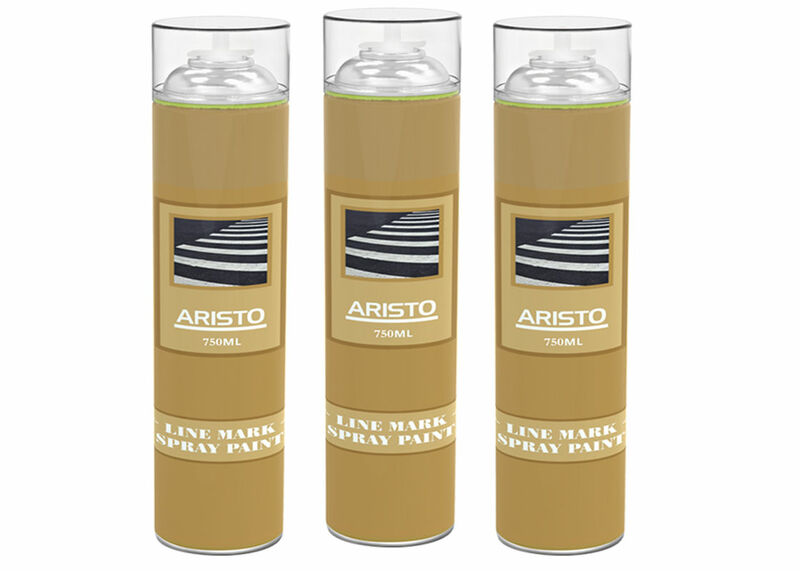 Aristo Line Marking Spray Paint is used for line painting in car parks, tennis court warehouse. 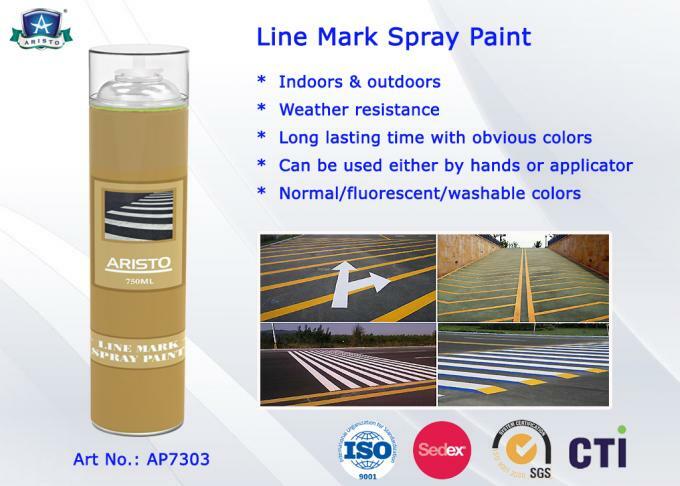 It is a xylene and lead free acrylic base line marking aerosol paint. Designed for use with the challenger line marking machine. This is a system far superior to traditional line marking system which marks durable lines in a variety of surface. 2. shake can vigorously until agitator ball inside can , moves freely for one minute . 7. to clean nozzle after use ,turn can upright and depress for 3-4 seconds. 1. CFC Free, high quality line marking paint. 5. Lead free, no chlorinated solvents.